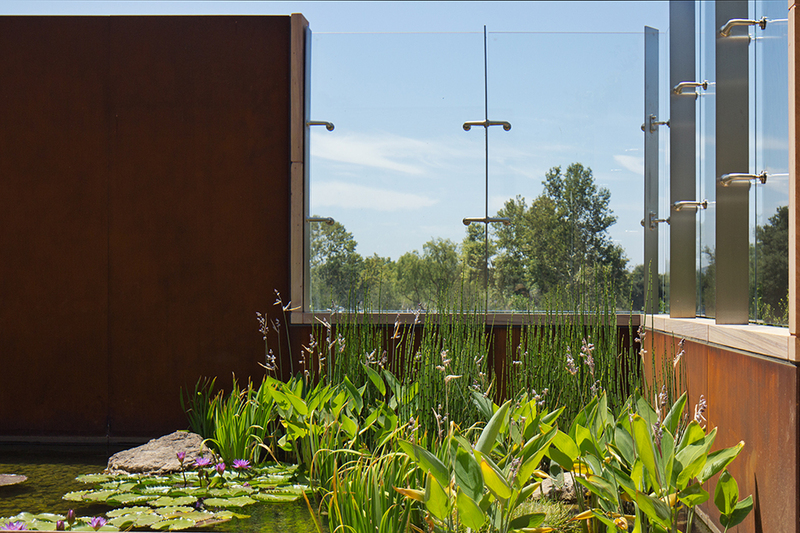 This naturally beautiful site features an extraordinary diversity of attractive native plants. 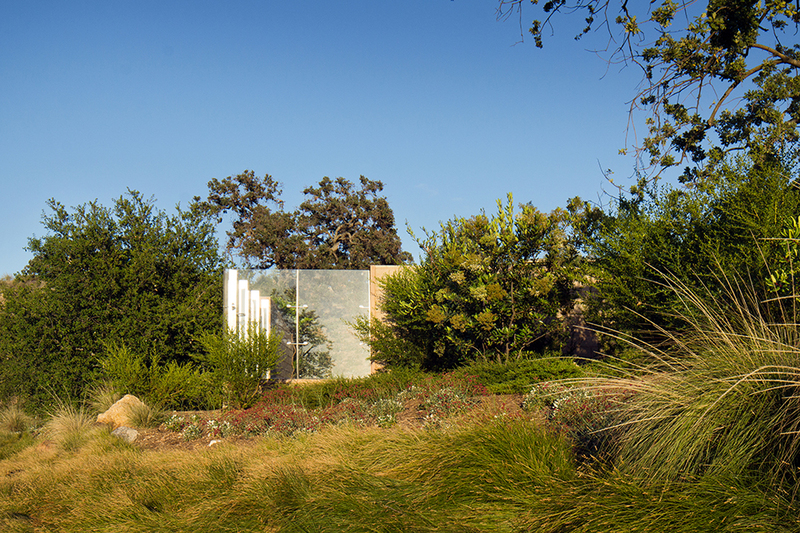 Inspired by this setting, the planting design features plants that grow in the grassland, coastal sage, woodland, chaparral, volcanic breccia and riparian woodlands found onsite. 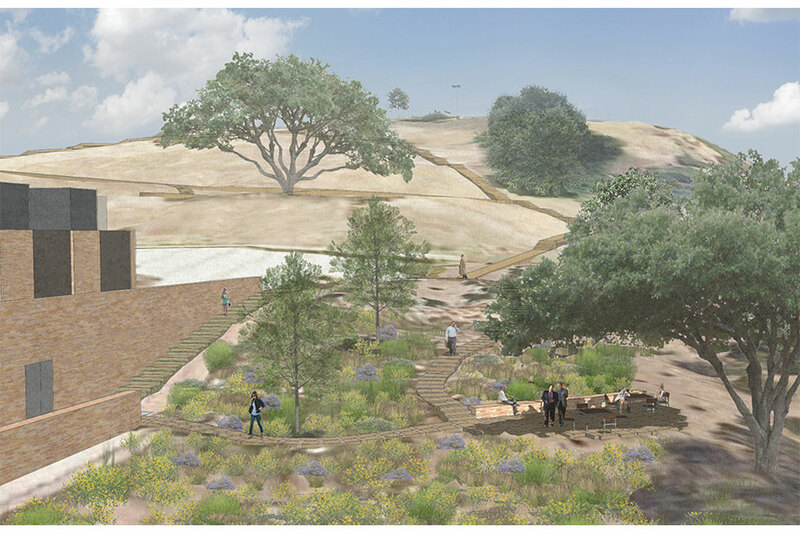 The use of native plants also serves the intention to respect and celebrate natural features, including the rock outcrops and a magnificent transplanted Valley Oak tree. 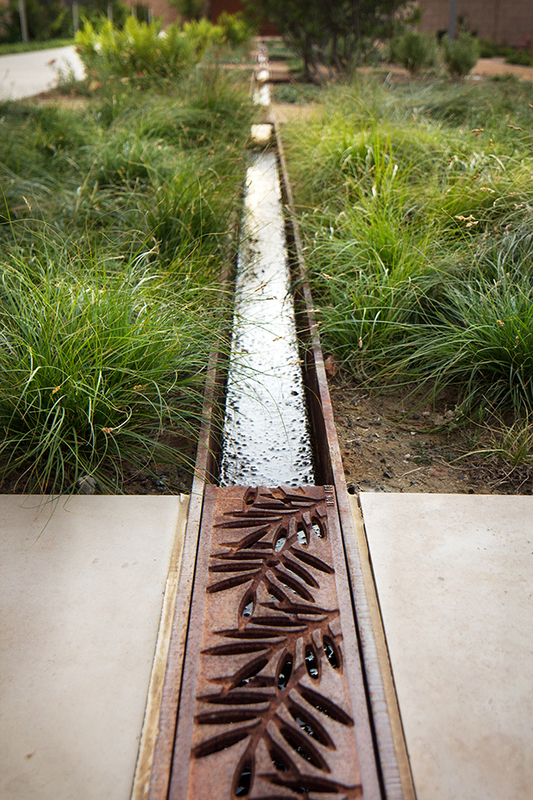 The planting of riparian species serves as native wetland habitat and enhances the detention basin function. 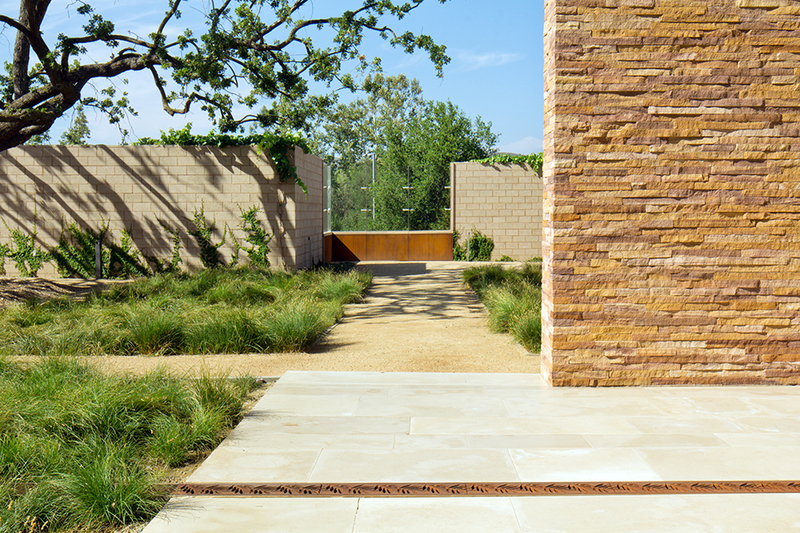 Using visually compatible native turf, as a lawn for outdoor activities, requires less water, fertilizers and mowing. 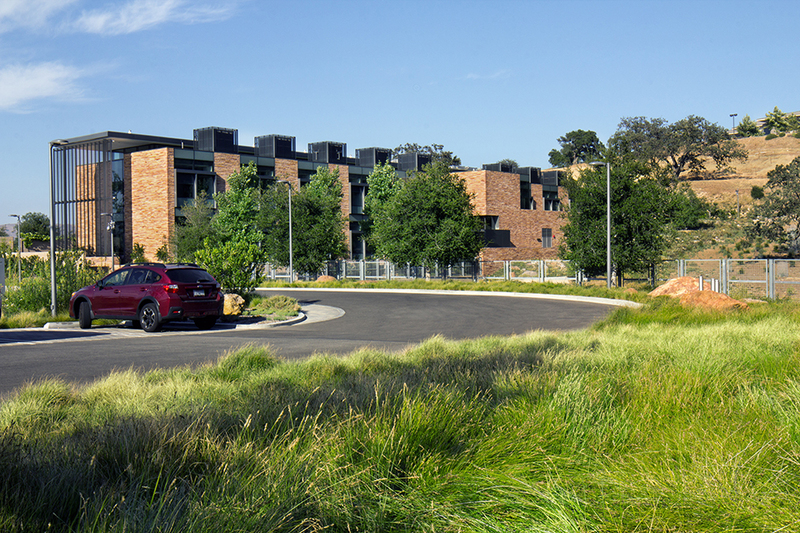 The use of native plants also recalls the native landscape with plantings of spike moss and placement of breccia on the greenroofs. 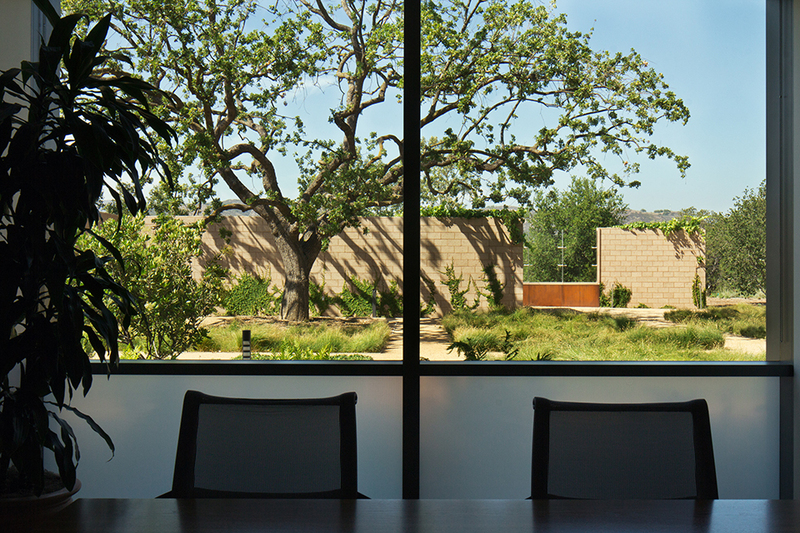 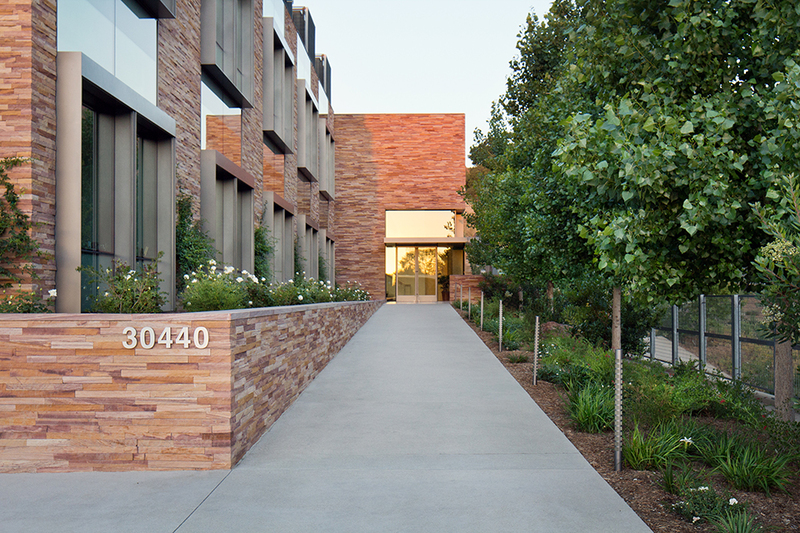 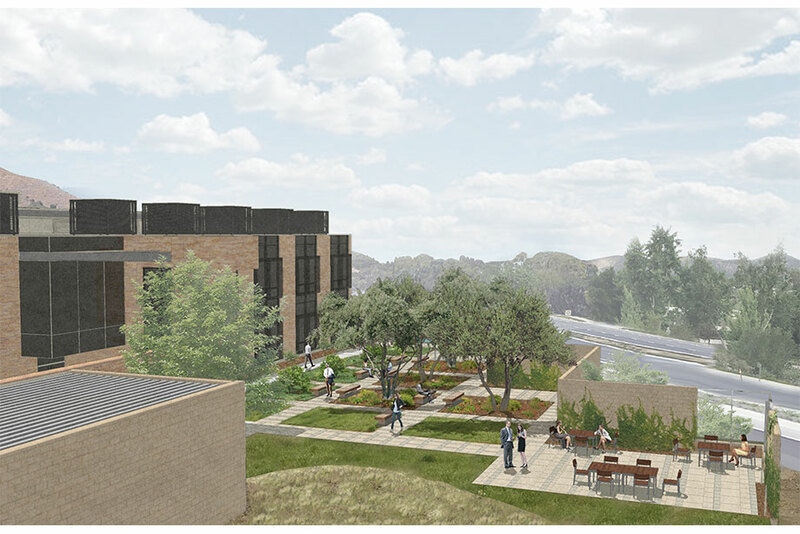 Over time, and as the landscape matures, the building will appear to have been sensitively inserted into the natural landscape that occurs at the base of the Santa Monica Mountains. 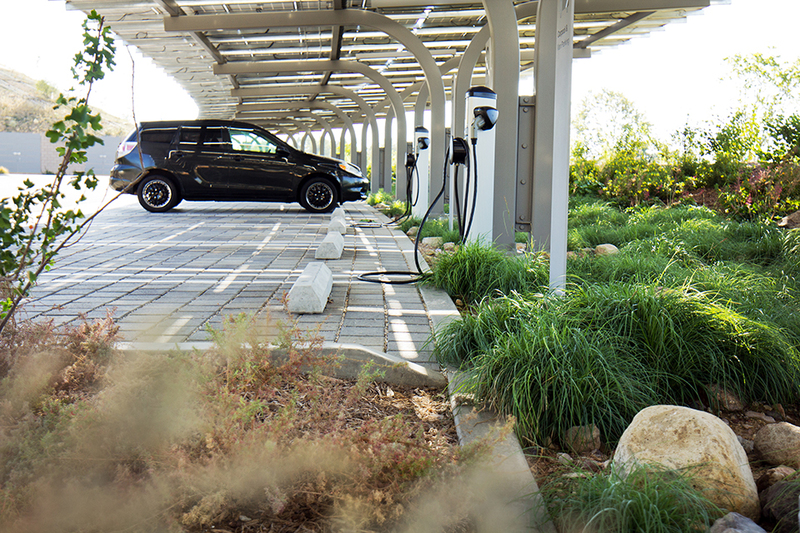 While this native landscape is expected to use far less than half the water of an exotic landscape, the real success will be measured by the wildlife that re-populates the site.